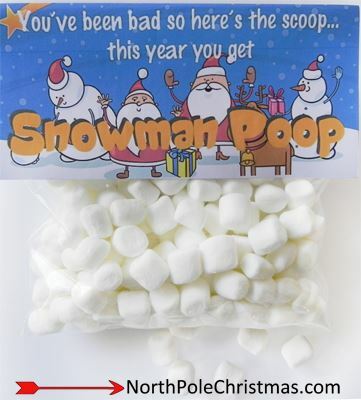 Turn marshmallows into a funny gift. 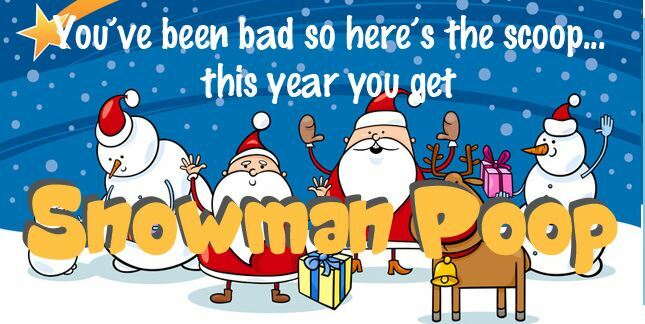 Create snowman poop - print one of the bag toppers with the Snowman Poop poem that will fit a plastic sandwich bag, and fill a bag with a handful of mini-marshmallows. Use double-face tape or staple bag topper to plastic bag. 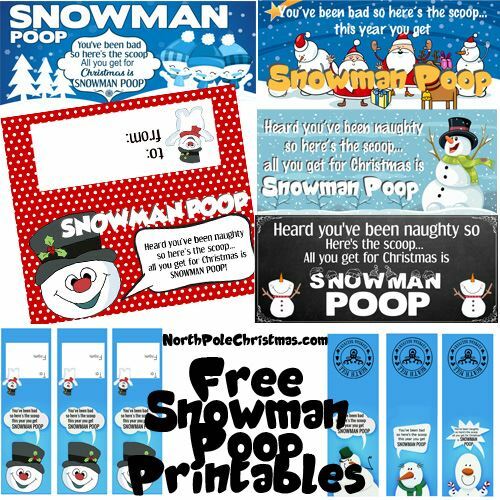 Use for co-workers, gag gifts, party favors, giveaways, handouts, arts & crafts fairs. 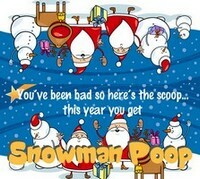 More Snowman Poop for Bag Toppers and Tic Tac Labels. 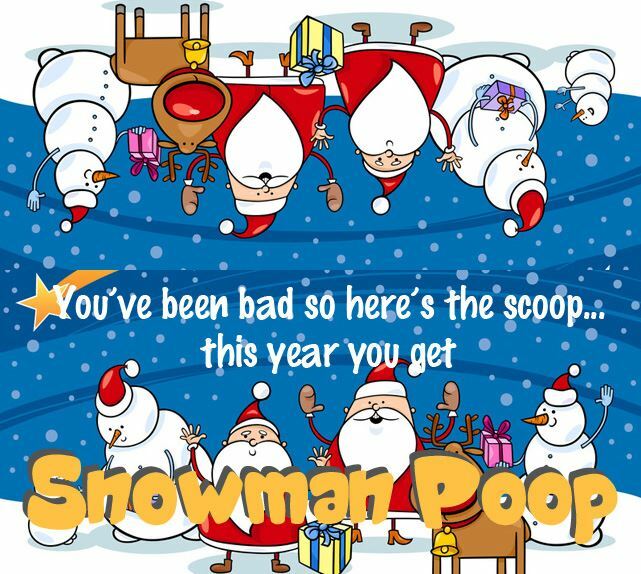 This year you get Snowman Poop.